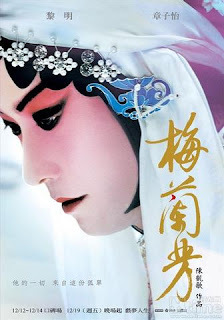 The day began with one of the best biopics I have ever seen, China's official entry for Oscars: Mei Lanfang (Forever Enthralled), about the life of one of the most legendary Chinese opera performers of all time. It was the kind of cinematic experience you wish about, a fine blend of fact and fiction and of music, art and theatre, with a unique cultural and historical flavour to it. I thought it was going to be my movie of the day. But movies that followed have made it extremely difficult to decide: the heart-warming documentary Unmistaken Child, about the search of the reincarnation of Tibetan master Lama Konchog; the Hindustani film Muhafiz, 1994, (as part of Shashi Kapoor Retrospective) that talks about the state of Urdu in modern India through the last days of a famous Urdu poet; and The Amazing Truth About Queen Raquela, about a Filipino ladyboy prostitute. All these movies told great stories about special men and each was as good as the other. Apart from these I saw this Hungarian movie Nem Vagyok a Baratod (I Am Not Your Friend). I selected this film because I am still in awe with Hukkle, the only Hungarian film I had seen before today. And I thought another film from Hungary would be interesting to watch. After the show, I talked to Gyorgy Palfi, the director and I could not believe it when while talking to him I realised that it was he who had made Hukkle. I told him how unforgettable it was and took his autograph. Also had the chance to meet Paprika Steen, whom I mentioned in my last post, and her director Mikael C. Rieks. When I told them that their film reminded of Kieslowski, they informed me that it has actually been nominated for some award named after the Polish master. Overall, it was a hugely rewarding day. For the performance of today I would like to mention that of Om Puri in Muhafiz. As always, he excells as the Urdu professor, with a Hindi M.A. degree and an undying hope that Urdu poetry would survive, and through his eyes we witness the personal life of Nur Shahjehanbadi, Shashi Kapoor in an unforgettable performance. Leon Lai in a restricted and subtle portrayal of the Chinese superstar, 'the King of female roles', Mei Lanfang was amazing too.